Belize Grassroots Youth Empowerment Association (BGYea) and its social partners will stage a National Land Reform Rally in Belmopan City on Tuesday, February 26, 2013, on the steps of the National Assembly Building from 10 a.m. to 1 p.m. Supporters attending the rally are asked to wear white T-shirts and the public is being reminded that it is not a political event. Nigel Petillo, the president of the organization, said that they are sure of a number of supporters coming from different areas of the country to participate in the demonstration. Interested persons can contact Petillo at 626-6168 or Yaya Marin Coleman at 661-8050. According to a press release issued by BGYea today, Monday, “the purpose of the rally is to highlight the need for increased transparency, efficiency and accountability in the management and distribution of national lands….” The organization wants to secure a commitment of support and direct participation by the Prime Minister and the Minister responsible for the distribution of land, in a series of public consultations through which a national land reform policy can be developed and implemented. BGYea president Nigel Petillo said that they are encouraging everyone to support the movement, and especially the youth throughout the country because they need to understand the value of land ownership. He said that the matter is not for BGYea alone, but for all Belizeans. It’s time for Belizeans to register their frustration with the corruption within the Lands Department, and by extension the Government, he added. “We’re talking about deterring the poverty situation we’re faced with in this country,” he said. “We’re talking about the unfair land distribution process, the unfair value system where cronies and family members get better prices and better access to better deals, and all that is not fair. So this demonstration is not a BGYea matter. 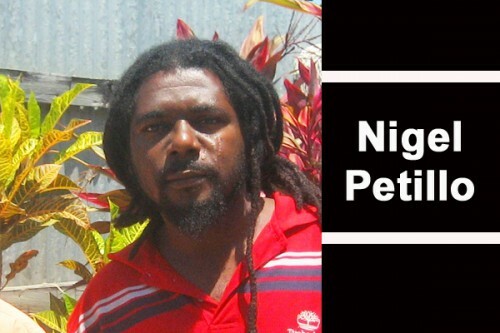 It’s a national matter, a country matter, a Belizean matter, where all of us know the different injustices that have been taking place at the Lands Department,” Petillo went on to say. For those who cannot make it to the demonstration in Belmopan, they can visit the Facebook page “Belize Unboxed” and sign an online petition. Supporters can also text the word “lands,” followed by their comments, to 662-2981. That information will be sent by emails to the Lands Department and also to the National Land Reform Committee. Petillo recently brought to the public’s attention that several members of the organization were awaiting documentation for their land in Harmonyville. Those persons claimed that they were waiting longer than they should have and that issue sparked an even greater spirit of frustration among the people. So far a number of those documents have been received. However, even with those papers in hand, BGYea and supporters are still not pleased with how things are done by the Lands Department. “With all the pressure we have been putting on them, the documents are coming out, but we’re still not satisfied with the rate and the speed of how they are coming out,” Petillo said. “Not because you’re trying to get our papers for us now we will shut up. We will continue to advocate for Belizeans throughout this country, especially the poor Belizean people who find it frustrating having to go to the Lands Department back and forth. We will make sure that that system is put in place to make it much easier for all of us to access land from the Lands Department,” he stated. Amandala spoke to CEO for the Ministry of Natural Resources Beverly Castillo who said that the documents cannot be given all at once because they are processed in batches and in different phases. There were no issues during the first phase of the process, but there couldn’t have been any fast tracking of documents during the second phase because there was a transformation in the computerized system being used. Castillo said that the department is producing all the land documents at normal flow. An issue that was beyond the control of the department was that many of the names on the master list submitted by BGYea were not the names on the documents the Lands Department had on file, so they couldn’t produce land papers for those persons until that issue was cleared up. After the organization received the most recent batch of documents, Castillo said, more submissions were made. Castillo said the “whole Harmonyville thing is disingenuous” because the department is not picking on anyone and they have no reason to hold up BGYea’s processing. “We feel disrespected and I’m not going to tolerate any type of disrespect,” she said. “We have been going overboard for them and we haven’t been getting any appreciation for it,” she went on to say.